It was 52 years ago that Sir Peter Blake, now the godfather of British pop art, created one of the most iconic album covers in music history for The Beatles Sgt. Peppers Lonely Hearts Club Band. 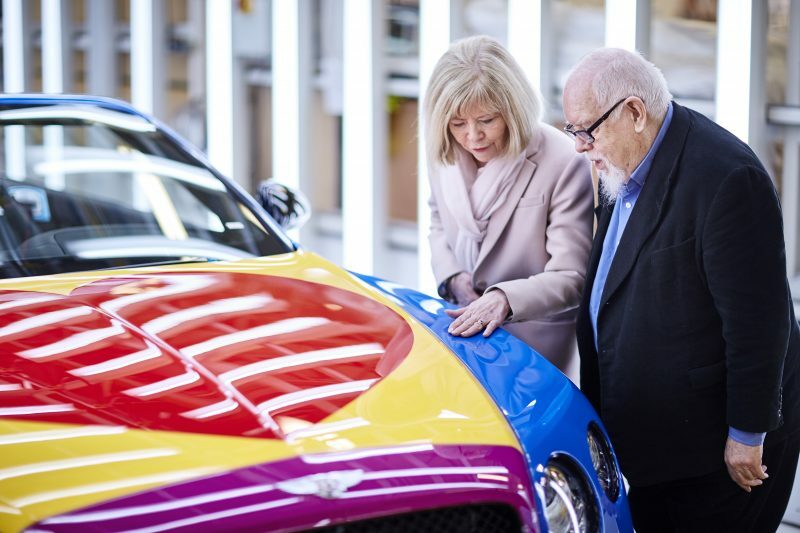 His latest work is a one-of-a-kind Bentley Continental GT V8 S Convertible that will be auctioned for charity by Bonhams at the Goodwood Festival of Speed on 24 June to raise money for the Care2Save Charitable Trust, which provides palliative and hospice care around the world. 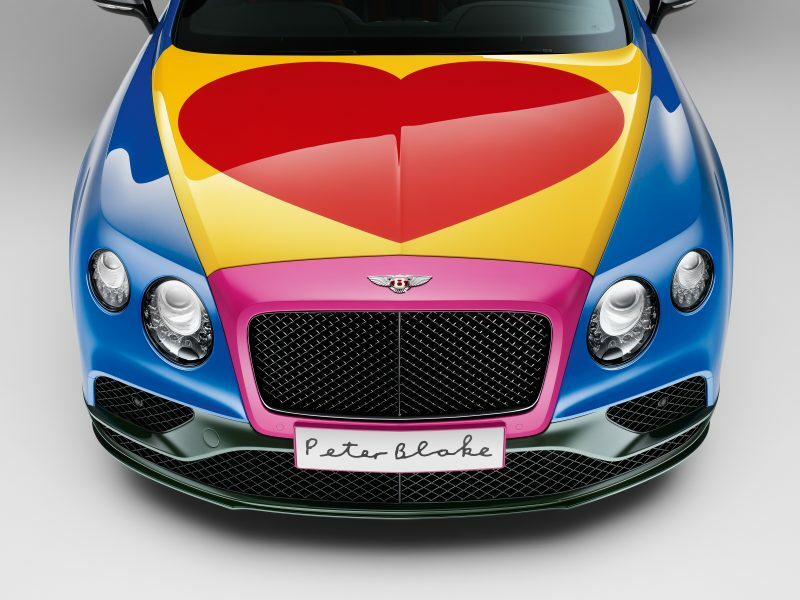 To symbolize the work done by hospice car givers, the car features a St James Red heart motif hand painted onto a Continental Yellow hood. The rest of the car is a collage of colors. St Luke’s Blue, a custom color introduced by Sir Peter and named after Bentley’s local St Luke’s Cheshire Hospice, dominates the rear, doors and trunk lid with British Racing Green on the lower body, a Fuchsia radiator shell, black exterior brightware and a black hood provide a foundation that lets all the other colors pop. Inside each seat is trimmed in a different hide colour; Cumbrian Green, Imperial Blue, Newmarket Tan and Hotspur, picking up shades from the exterior surfaces. The same colors appear on the sports steering wheel and a pink leather gear lever jumps out against the centre console, dashboard and interior door panels, which are all veneered in Piano Black. 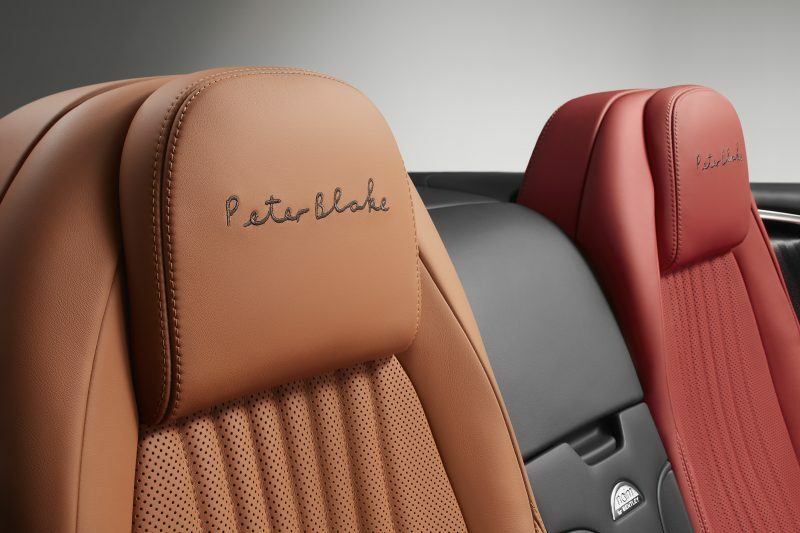 Sir Peter’s signature is scribed onto the fascia panel and embroidered on all four seat headrests. To finish, unique storage cases feature a Piano Black veneer outer but with Continental Yellow and St James Red internal linings to reflect the bonnet colour theme. A distinctive treadplate, signifying that this is a Sir Peter Blake design, labelling ‘No. 1 of 1’ finishes the car. 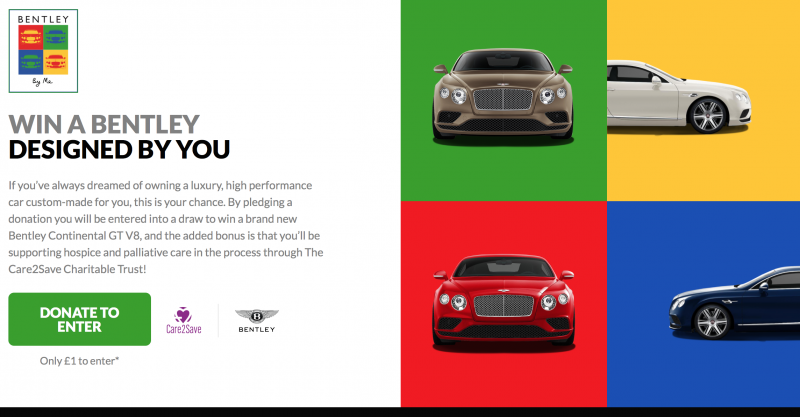 The Bentley By Me campaign launched earlier this year, allows people the opportunity to donate any amount from £1 to help transform hospice and palliative care around the world, with the opportunity to win a Bentley. You can register and donate by clicking here. 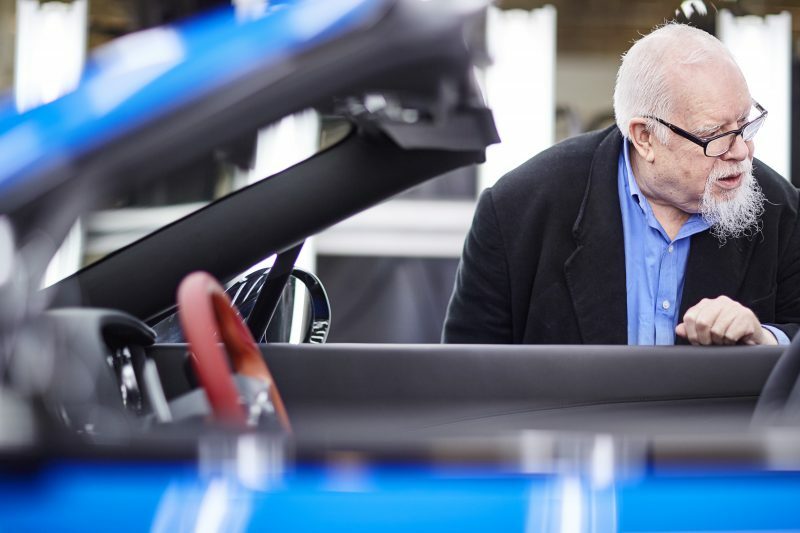 It’s a great car, designed by a great artist, for a great cause and worth bidding on if you’re going to be at the Goodwood Festival of Speed this summer.